If your dog seems uncomfortable and is itching and scratching more than usual, it may be suffering from a skin condition. Your dog’s skin is one the leading indicators of it’s health and happiness. Skin conditions are the number one reason dogs visit the veterinarian, and allergies are the most common skin problems dogs experience. According to a leading pet insurance company, the average vet cost of a dog’s skin problems is about $183 per visit. Not only can skin conditions be difficult for your dog, it can cost you a lot. It seems so simple to humans, but since your dog can’t tell you how they feel, you have to learn from their behavior. Dry skin will cause a dog to scratch itself, sometimes compulsively, which can lead to even worse skin problems. Dry skin can be caused by a number of reasons such as over or under-bathing, lack of grooming, a deficiency in diet, a dry climate, forced air heating and air conditioning and recent surgeries. Yeast is more of a problem during warm weather when the air is more humid. Like dry skin, a yeast infection will cause excessive itching and scratching. Yeast infections will more than likely affect particular areas of your dog’s body like the paws, ears, armpits, jowls and skin folds. Yeast infections are common in dogs with floppy ears and can be made worse if your dog spends time swimming. Yes, dogs have dandruff too. Dandruff is one of the easier skin problems to detect on a dog since it’s so visible. Once again, itching and scratching is the behavioral sign of dandruff. Dogs with dandruff may also have skin bumps or scabs. Breeds that are more prone to having dandruff are Bassett Hounds, Cocker Spaniels, Labrador Retrievers and German Shepherds. Mange is caused by microscopic mites and considered a “living” skin disorder. There are two kinds of dog mange, sarcoptic mange (scabies) and demodectic mange. Sarcoptic mange can hit fast and cause severe itching. It is also very contagious. Demodectic mange is quite common in puppies. Most puppies under a year old can usually recover without treatment, but dogs older than a year will likely need medical treatment. Hot spots on a dog’s skin are painful and itchy. They are essentially sores that are red and located on hairless, inflamed parts of the skin and are warm to the touch. They can also be foul-smelling. They can become worse as you dog lick and bites the hotspots. Breeds that are more prone to hotspots are Newfoundlands, Golden Retrievers, German Shepherds and Bernese Mountain Dogs. Many skin conditions can be helped by being found early with professional dog grooming services. 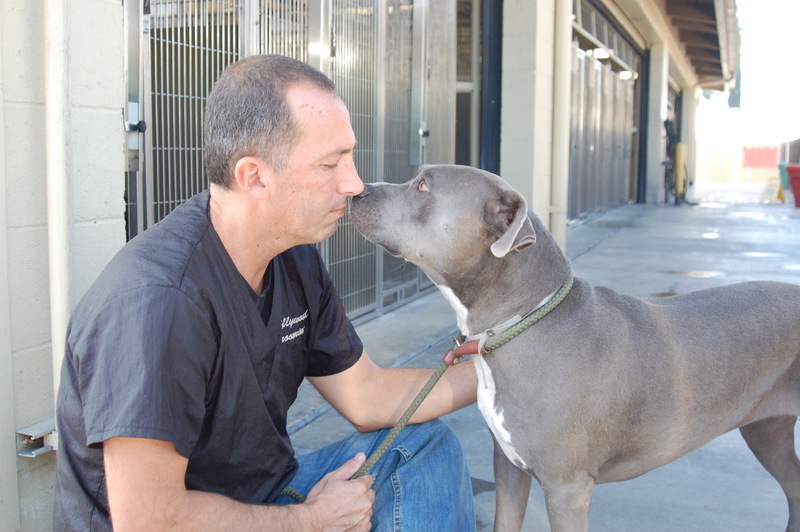 Many skin problems have been discovered by our staff at Hollywood Grooming and then referred to a veterinarian. 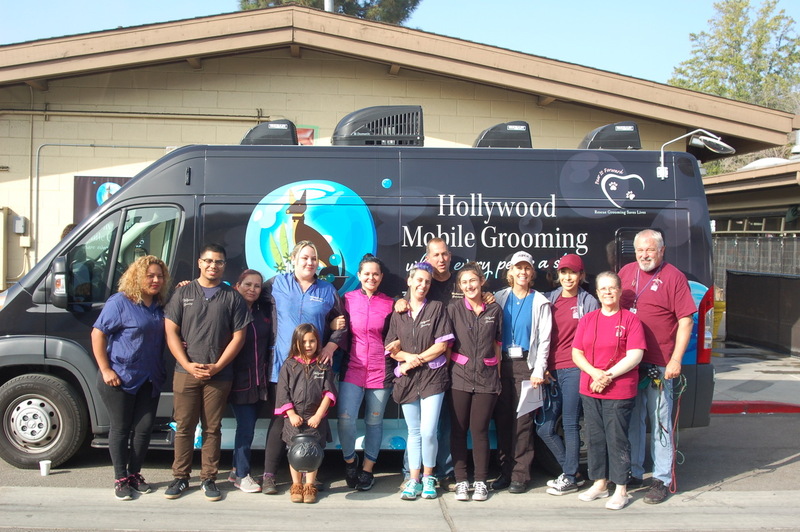 If you want the best in pet grooming company in Los Angeles to make your dog or cat to feel and look the best they can, then call us today at (888) 665-7766 (310) 476-3353.